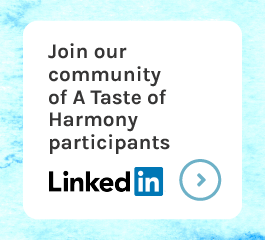 Over the past decade, the A Taste of Harmony team has witnessed the remarkable benefits that coming together to recognise and celebrate cultural diversity has brought workplaces all around Australia. One such example is Bibra Lake Business Centre in WA, which has been taking part in A Taste of Harmony for the past four years. We spoke with Business Services Manager, Malcolm Sequeira, who coined the Business Hub’s now-mantra, ‘A Taste of Harmony acts as a link to our Past and a guide to our Future’. Why is A Taste of Harmony so important to your team? It’s so important to learn and taste dishes from a range of cultures because we rarely get the chance to do this. Before A Taste of Harmony, we never talked about where we were from or the cultural background of our parents etc. But coming together and sharing food really helps – food is the ultimate way to break down barriers! How do you prevent staff from getting ‘event fatigue’ year after year? Each year we make sure we do something different so it might be lunch one year when we bring substantial meals or afternoon tea the next where we bring snacks from different cultures. This year we focused on snack foods which included mini Shepherds Pies and Sausage Rolls from Britain, Italian Crostoli and Portuguese Goan Fish Croquettes. It would have to be one I brought in a couple of years ago which was spicy Portuguese/ Goan Pork Sorpotel which is traditionally made using pork blood and liver, however I excluded these two ingredients much to the relief of my colleagues! Is there a memorable story you can share? Last year one of our team declared she didn’t know anything much about her parents’ heritage, and thanks to a taste of harmony she investigated deeper and was surprised to discover her mother’s actual roots which was something she was so excited to learn! I was very happy that A Taste of Harmony gave her the opportunity to learn this. If there is one thing that surprises me it’s how much we don’t know about each other even though we see each other every day! We now have a mantra at Bibra Lake Business Hub: A Taste of Harmony acts as a link to our Past and a guide to our Future. It shows how much A Taste of Harmony is valued by us as a team.